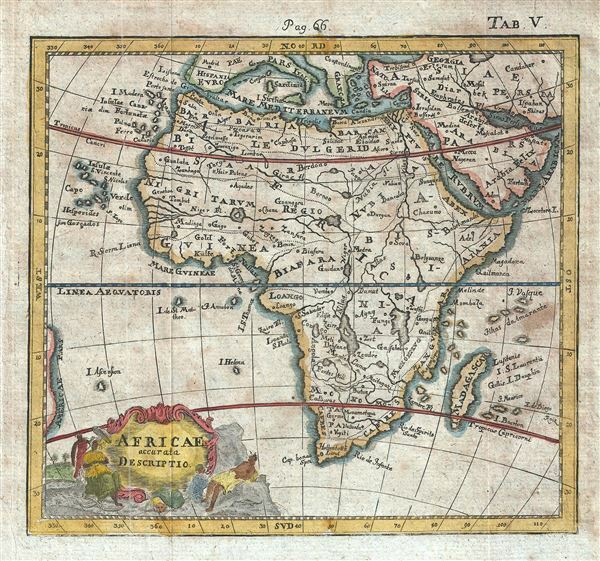 A scarce 1742 miniature map of Africa by German historian Benjamin Hederichs. This map covers the entire continent of Africa as well as adjacent parts of Arabia and Europe. Following the conventions of the period Hederichs maps the Nile River according to the Ptolemaic two lakes theory. Decorative allegorical title cartouche in the lower left quadrant. Published for Hederichs 1742 Anleitung zu den fürnehmsten historischen.